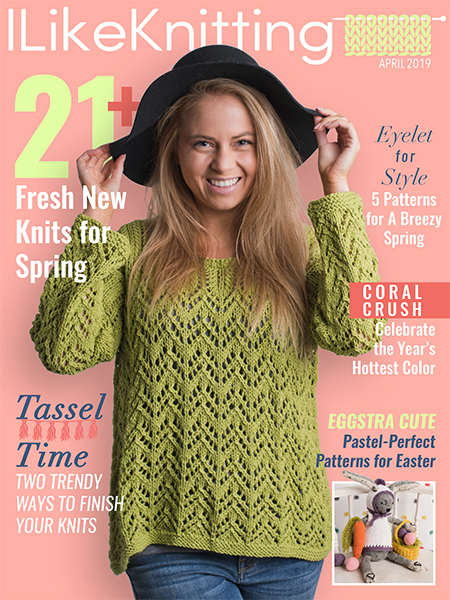 Discover easy knit ponchos, knit tees and tank patterns. This breezy top will keep you cool all spring and summer long. 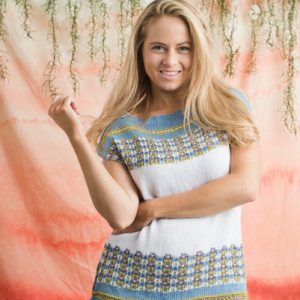 It’s knit in two pieces, with seams at the shoulders and sides. Imagine how great it will look with your favorite pair of jeans! Delightful floral colorwork motifs at the hem and yoke of this lovely top bring a touch of the garden to your wardrobe this spring! 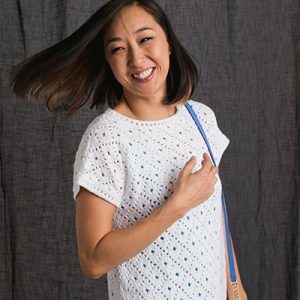 Simple and elegant, this transitional tee couples the easiness of stockinette stitch with minimalist stitch pattern and soft lines for a gorgeous result. Enjoy the last nights of summer wearing this beautiful tee if you don’t want to go unnoticed! This warm-weather tunic features contrast color pops of I-Cord, an easy to wear silhouette and a super fun peplum! And the best part – the only seams in this tank are at the shoulder. Soothing stockinette stitch makes this a good project to have in your hands while watching TV. A classic tailored top with shaping at the waist is given a dressy upgrade with the addition of ruffled sleeves. This bold and simple design is the perfect addition to a summer wardrobe. This sassy and flirty tank was inspired by the colors of late summer fruit and berries. 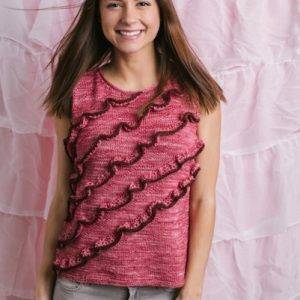 A simple tank is made interesting by rows and rows of embellished ruffles and the result is completely worth the time. 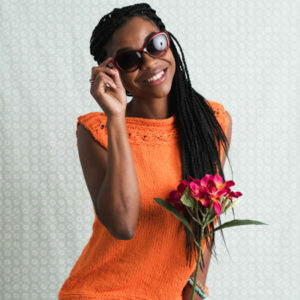 The Mango Flower Top is a simple but fashionable take on the knit tank. The top panel features a row of mango flowers in between two chains for an elegant nod to summer. 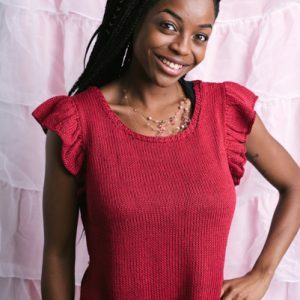 Knit in the round and bottom up, this Peach Bellini Tee features set-in raglan sleeves with an adorable keyhole that can be worn in either the front or the back. Once you make it, you’ll wonder how you ever survived the summer without this essential piece in your closet.